​In 1995 when John and I visited Italy, we noticed the produce there was so fresh and tasty. Though we had limited spices, whatever I cooked in Rome was incredibly delicious. We tasted zucchini for the first time and loved it. The following year, we migrated to Canada and have been enjoying this vegetable from the grocery stores. 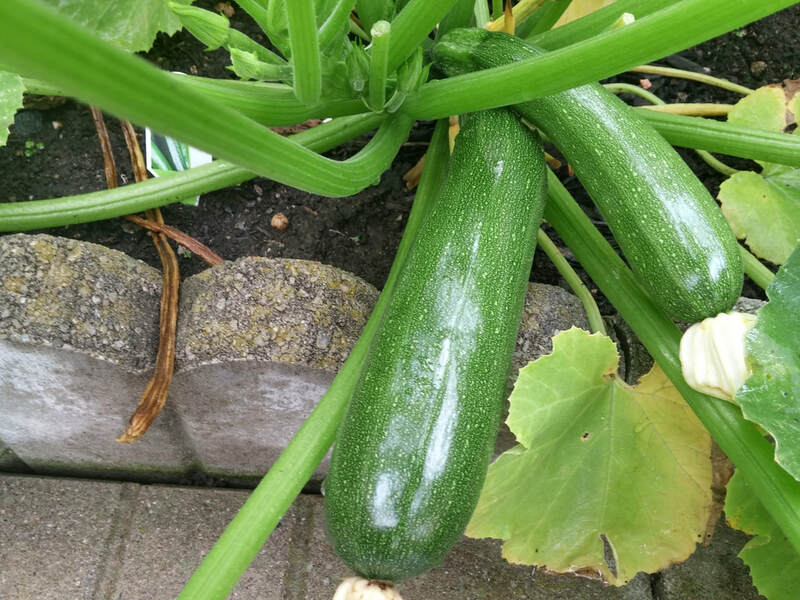 In summer, we grow zucchini in our garden (pictures below). 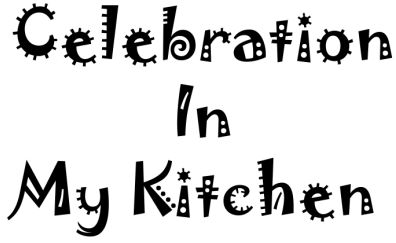 Though bland in taste, it can be elevated and enhanced with other ingredients to make it delightful and pleasure to eat. With good rains this summer, we had an early harvest of zucchinis. 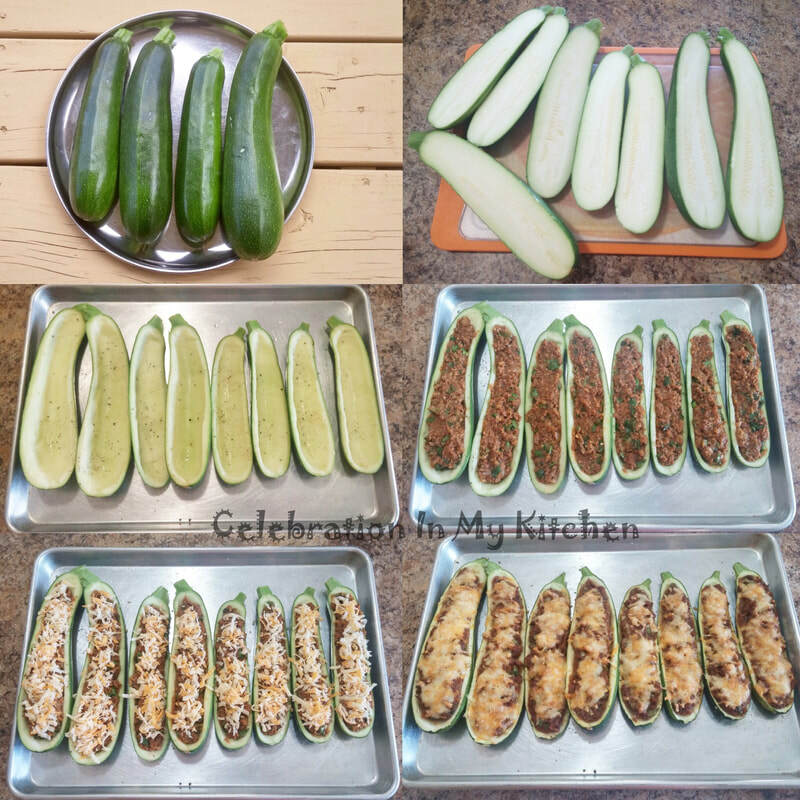 To prepare the stuffed boats, the zucchinis were cut into halves with the flesh scooped out and cooked with the ground meat along with spices. The filling was set aside to cool. 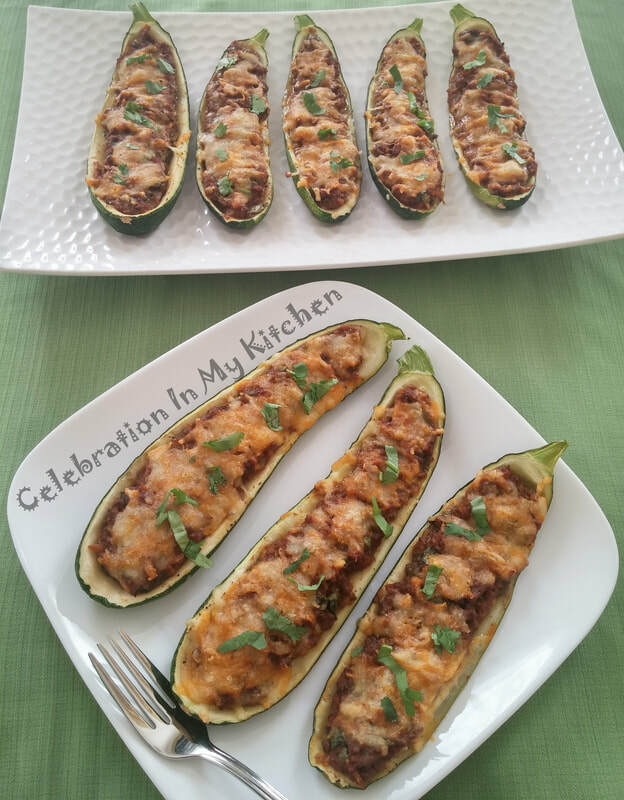 Then, stuffed into the zucchini boats, topped with cheese and baked. A tasty dish, mildly spiced and easy to prepare. These boats not only look attractive but are delicious. The freshness of the vegetable along with the filling is tempting and irresistible. 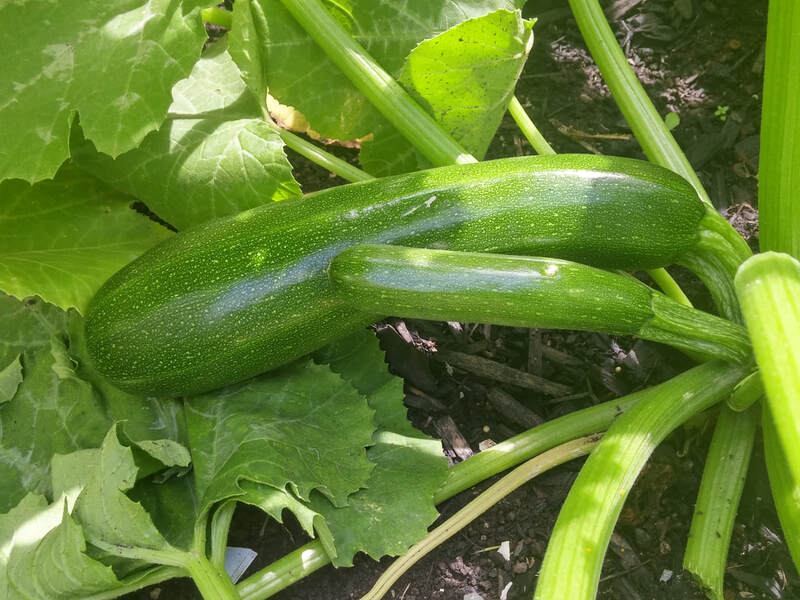 Cut zucchinis lengthwise in half and scoop out the centres. Keep pulp aside for filling and place zucchini halves in a baking tray. Sprinkle halves with olive oil, salt and pepper powder. Cook ground beef in a skillet with no oil until it changes colour. Transfer in a sieve kept over a bowl to drain off any excess fat. In a pan, heat olive oil, add onion, garlic and green chillies. When onion is soft, add tomato and well-drained ground meat. Stir for a couple of minutes, then add turmeric powder, pepper powder, reserved zucchini pulp, vinegar and salt. Cover and let meat cook through. Mix in the breadcrumbs. Any moisture in the mixture will be absorbed by the breadcrumbs. Remove pan from heat, sprinkle coriander leaves and set filling aside to cool. Discard any moisture released from the zucchini halves. 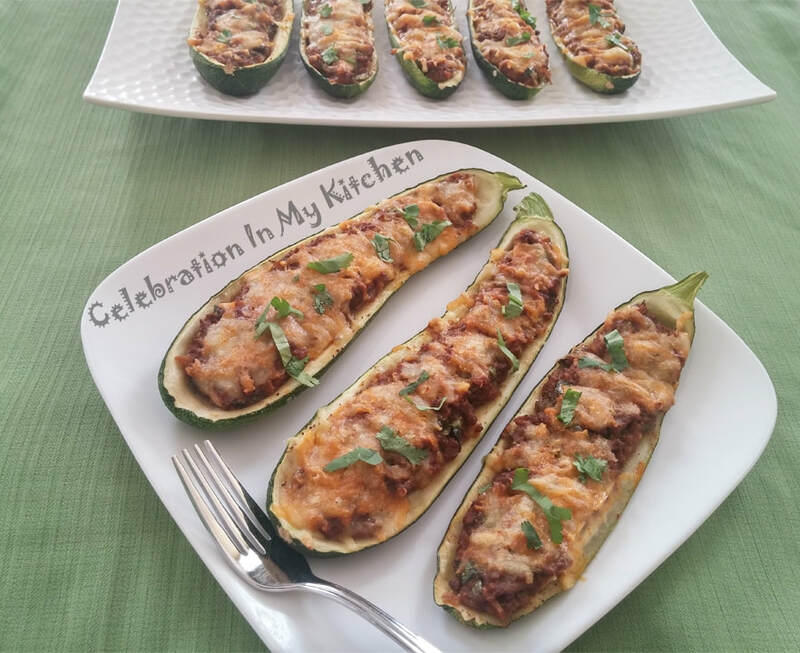 Spoon filling into zucchini halves and top with cheese. Place on baking tray and bake for 10 minutes until cheese melts. Switch off the oven and leave boats in the oven for an additional 5 minutes. Serve stuffed zucchini boats as a side dish. Ground beef can be substituted with chicken, lamb, Italian sausage or potato. If desired, add extra spices of your choice.